Remember my previous entry about Akira at Alphaland? You all thought I was kidding when I mentioned I'd definitely go back to Akira, right? I'm back! 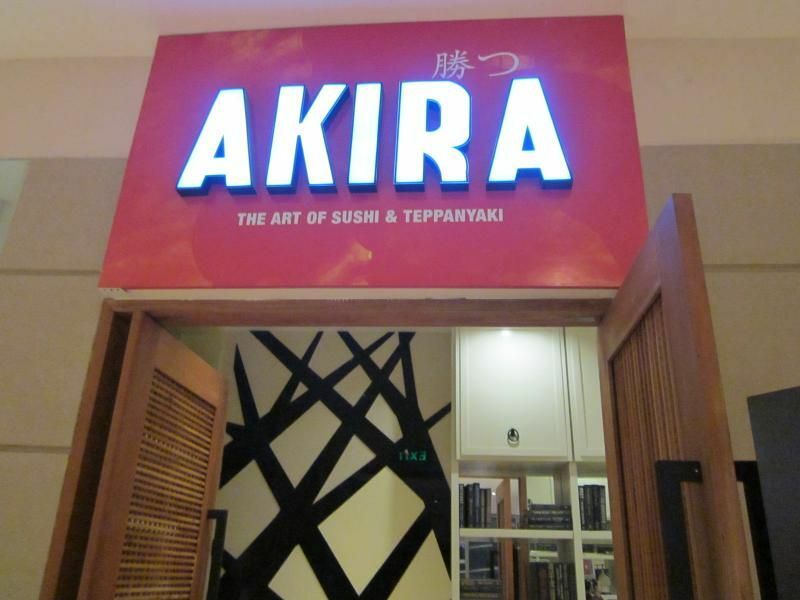 This time I'm checking out Akira at Shangrila! 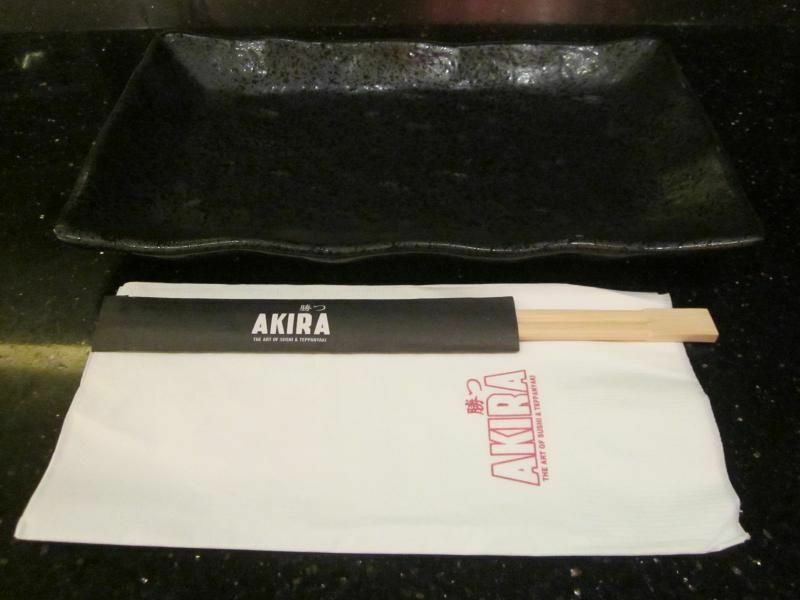 Akira: The Art of Sushi and Teppanyaki in the first place. 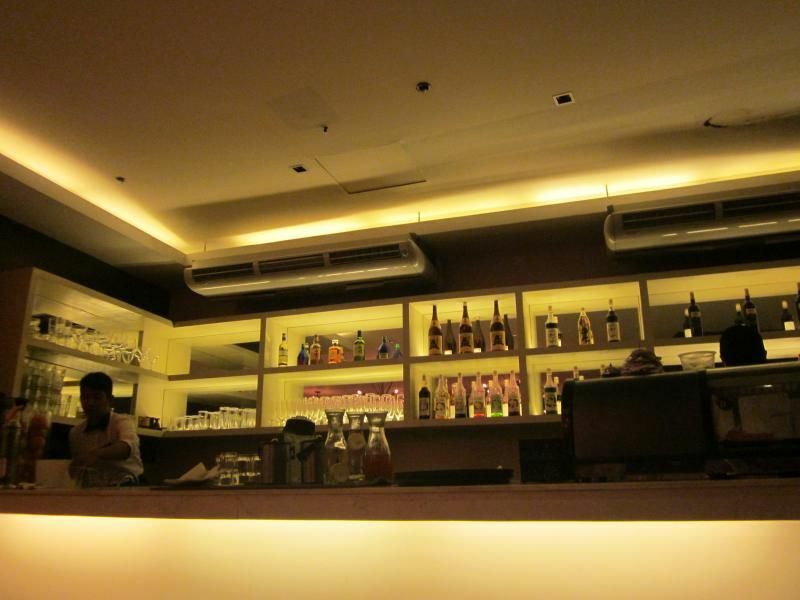 It's called as such because the restaurant was inspired by the famous Japanese film director Akira Kurosawa, best known for the movie Rashomon. 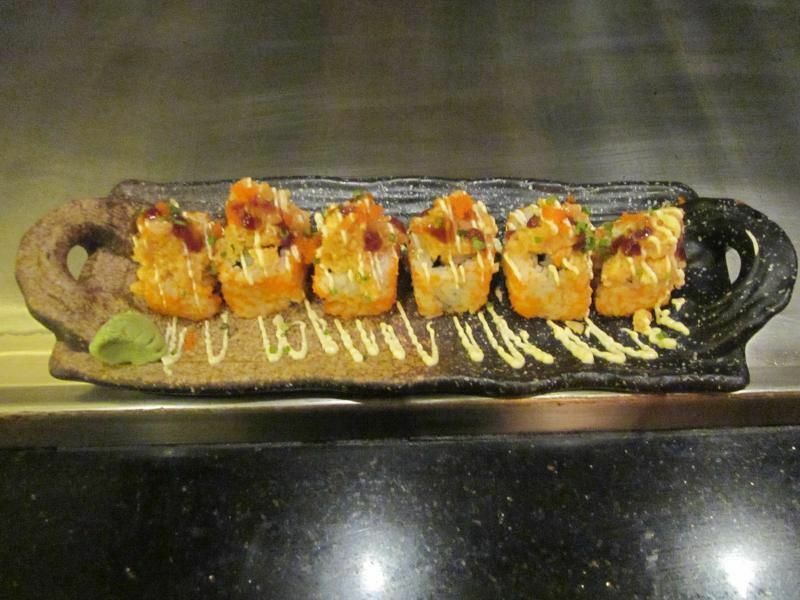 Akira believes in the art of sushi and teppanyaki by providing an authentic, entertaining and artful way of making teppanyaki with precise procedures. Something that I'll explain later. 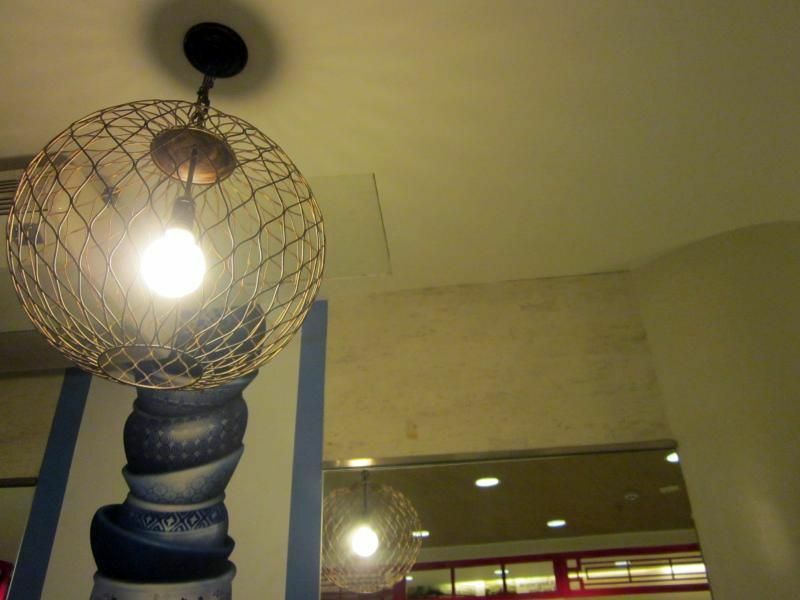 If you are curious as to where it is located, you could easily find this at the 5th floor on the East Wing side. 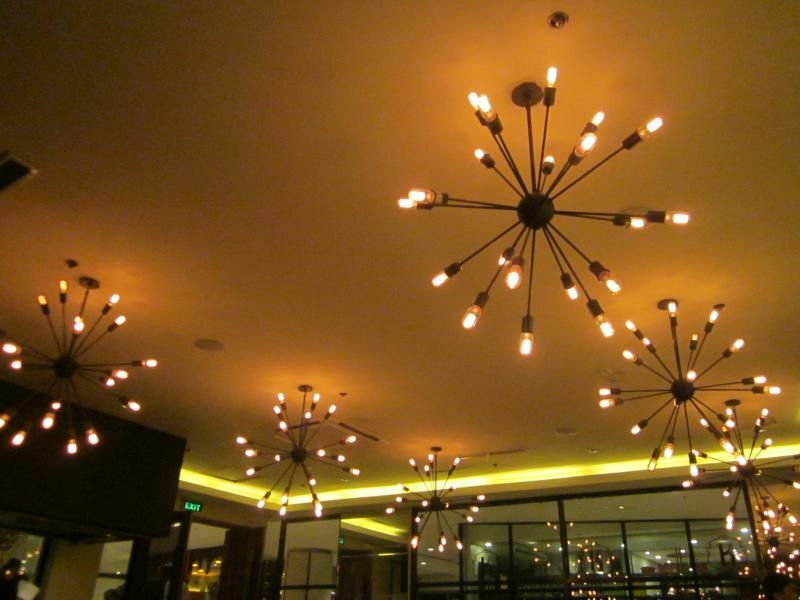 If you have noticed, the ambiance each branch has it's own unique personality and style. With the Alphaland branch that's inspired by the fall season of Japan, the motif of this branch is inspired by the modern Japanese architecture that is very minimalistic but still looks sophisticated. From what I've heard from the brand manager of Akira, the interior design of the Burgos Circle branch was inspired by a waterhole. That's something I'd like to see soon! It's a refreshing house blend of tea infused with pineapple, calamansi, mango, lemon and orange. I love this Japanese beer, I wish they had more beer selections though. 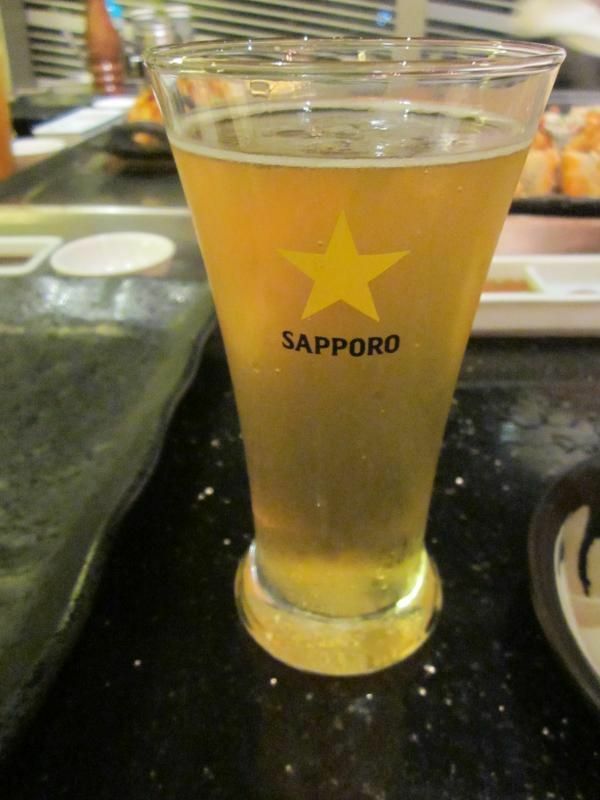 Sapporo is a rice lager so it's just right, not too bitter and no aftertaste. 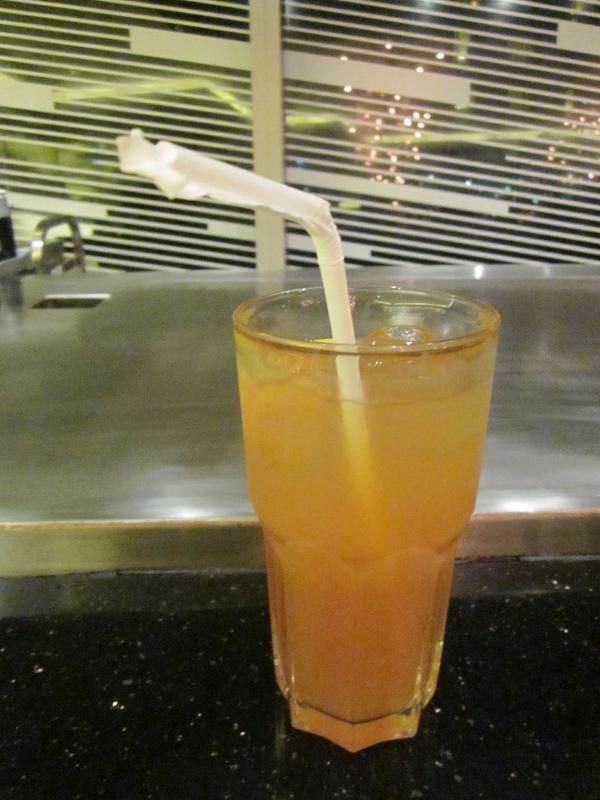 The perfect drink to pair with Asian dishes since it's light and wouldn't overpower the food. 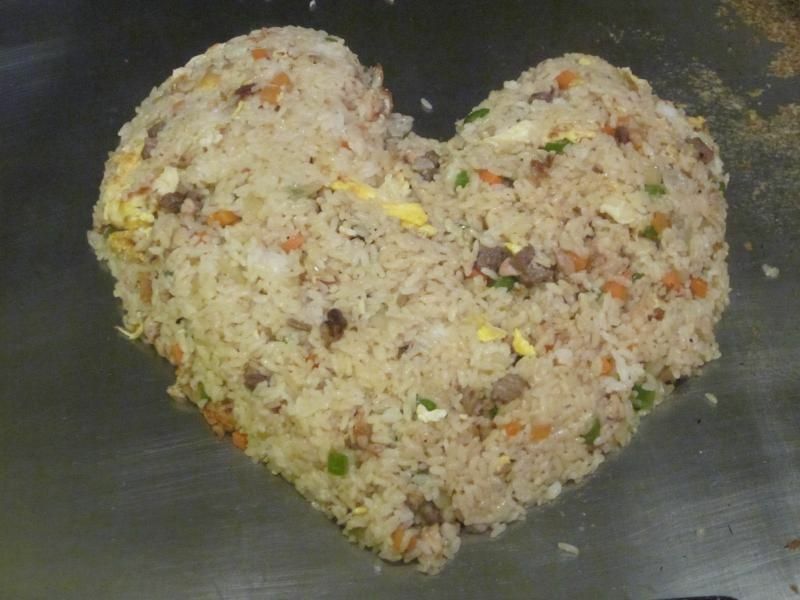 It's a little more expensive than your regular Japanese restaurants. 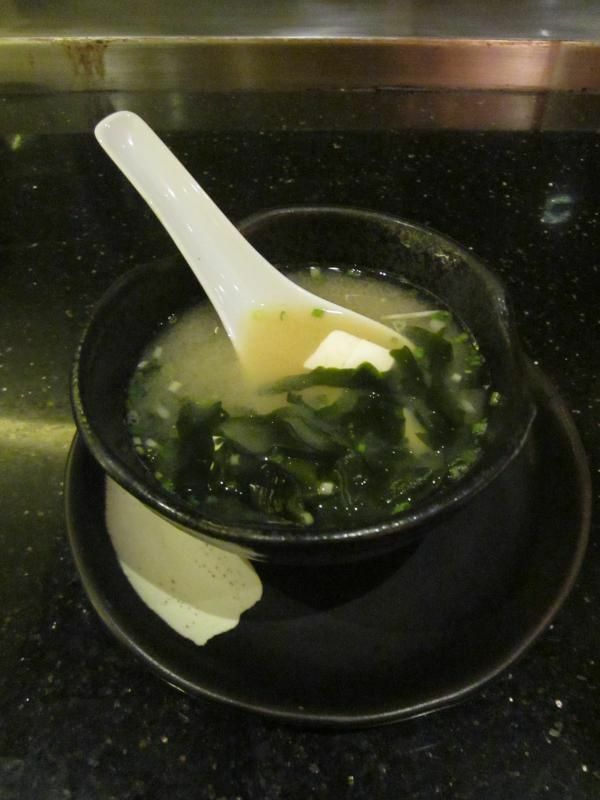 But compared to theirs' this one has more wakame and soft Japanese tofu in the soup. I remembered having one somewhere and the miso soup had only a few chopped spring onions and they called it a day. Wtf. That place should take cues from Akira. 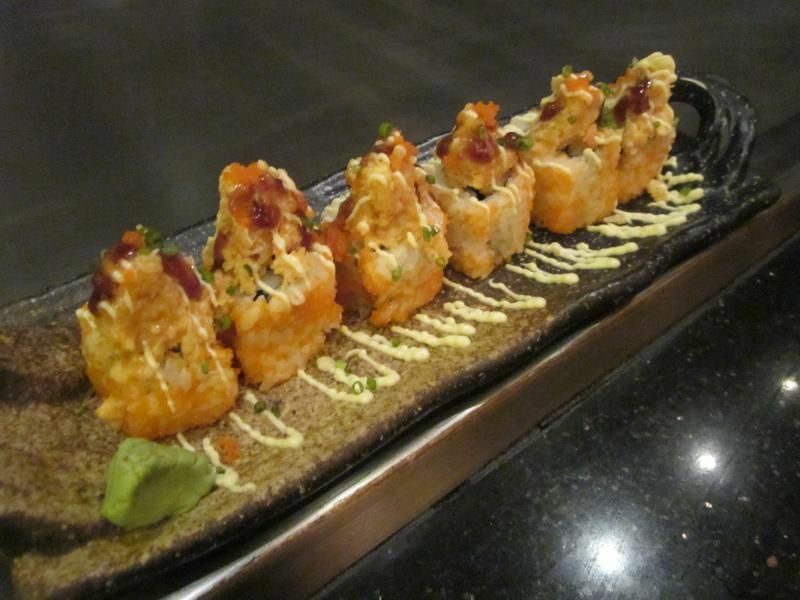 Compared to my last visit to Akira I think they pretty much mixed it up a little by adding a crunchy texture and a little kick of spicyness to the rolls. You gotta love those fresh tobikos that pops in your mouth. Delightful! 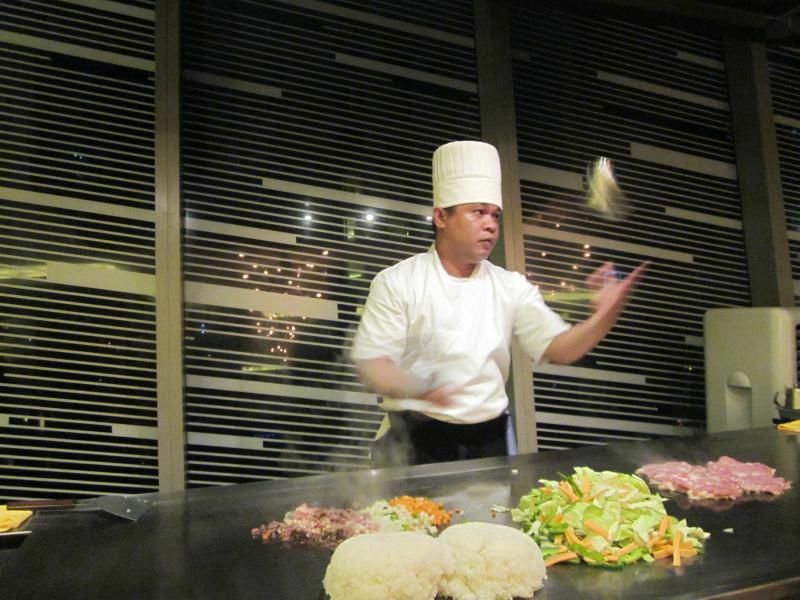 Teppanyaki is a style of Japanese cuisine in which dishes are cooked using an iron plate. 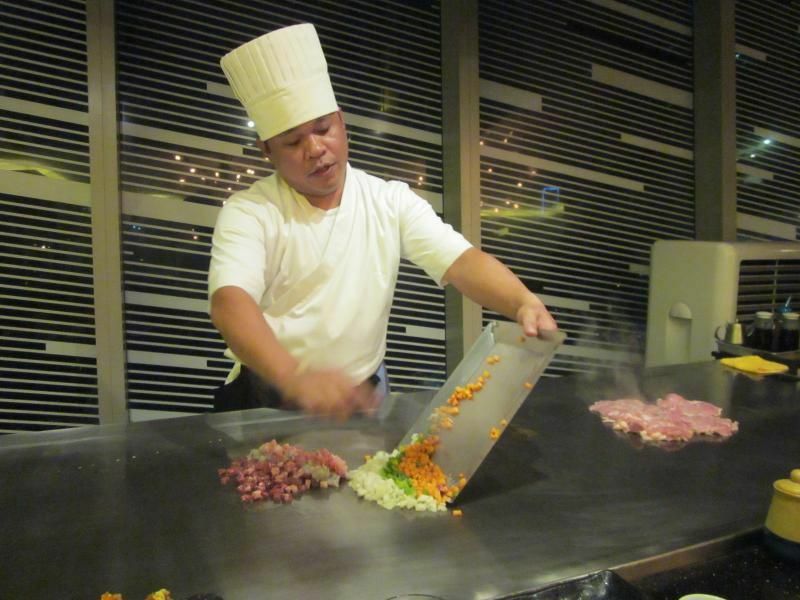 The word teppanyaki is derived from teppan which means flat iron and yaki means grilled, broiled or pan-fried. Now here's what I'm talking about! Our talented chef for the night was Chef Borja Japson who undergone 15 years of training to master the art of creating such mouth-watering dishes. The expensive Wagyu beef cooked to medium rare perfection! 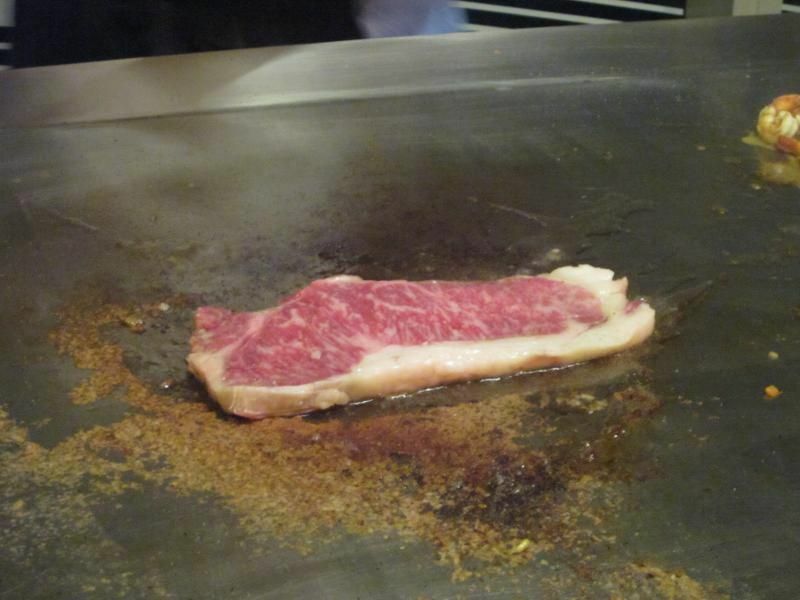 Other than the amazing intimate performance by Chef Borja, the Wagyu Teppanyaki is just as terrific. The Wagyu beef is so sinfully indulgent since it's cooked with butter and the texture is similar to something that melts in your mouth since it's cooked medium rare. If you know me, I like my meat raw or not too cooked. I know. I'm weird. 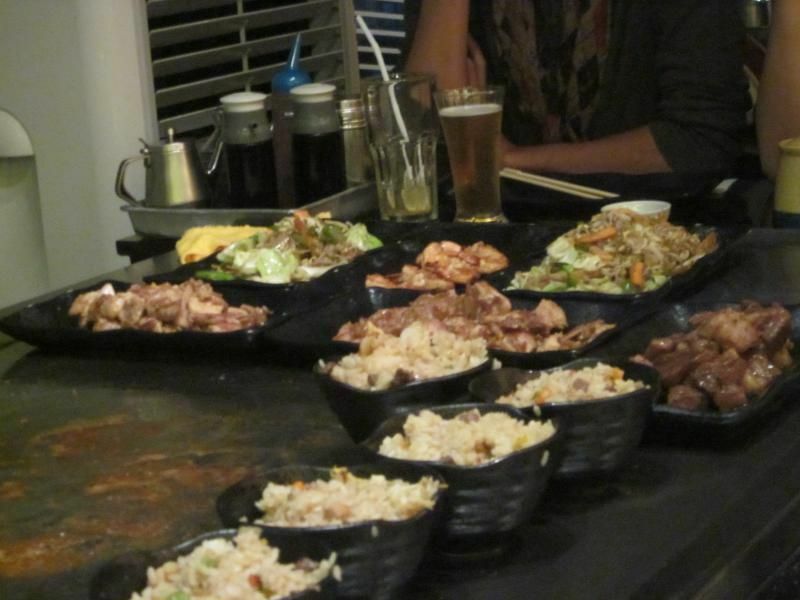 The price of teppanyaki sets may cost from P900~P5000 depending on the number of servings. 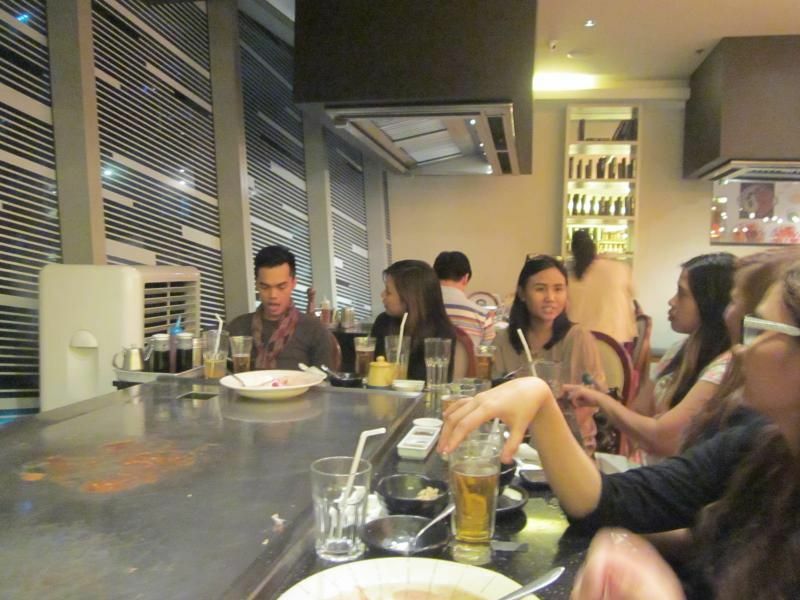 Unlike other Akira branches, this one in particular has 3 teppanyaki tables which we were lucky enough to be seated upon since you need reservations for this. 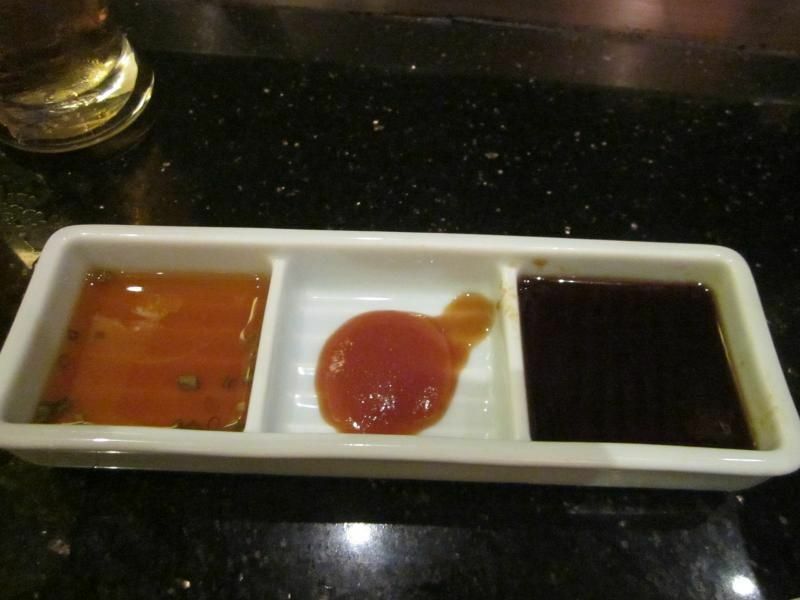 From L-R: Koju, Honey Mustard and steak sauce for the teppanyaki sets. The mildly sour Koju sauce is for the chicken, the Honey Mustard sauce is best for the shrimp and the sweet steak sauce is perfect for the beef. To be honest, the beef is good alone even without the sauce. But that's just me. 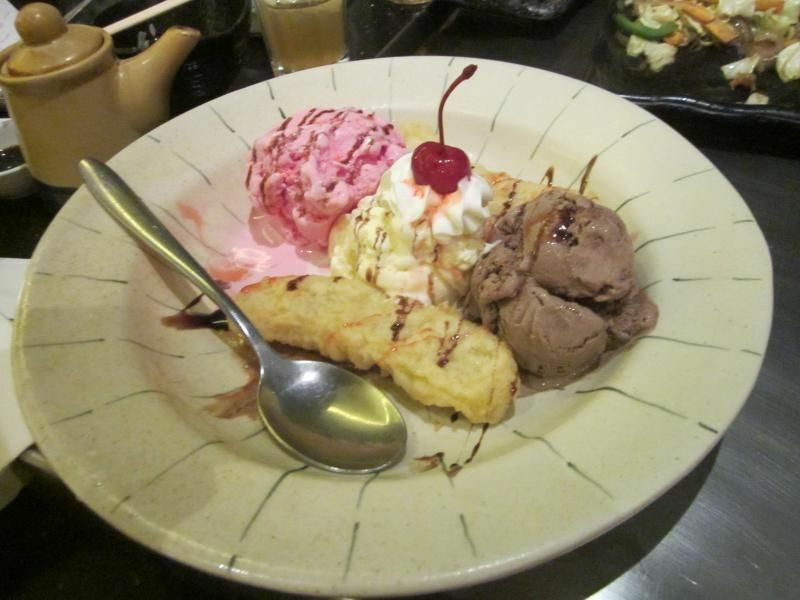 It's your regular banana split except the banana is deep fried in tempura batter. When mixed with the strawberry, vanilla and chocolate ice cream, it gives an interesting texture a little bit similar to crepe. Foodie bloggers along with the Zomato team! Heart and Chiz we're just spotted behind us when this was all happening. I just couldn't take a paparazzi shot though. 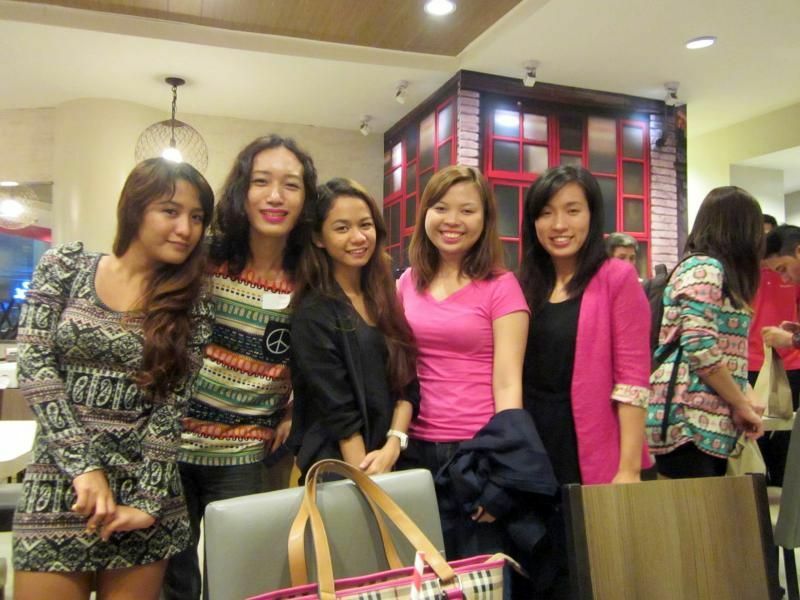 On their 2 years, Akira is still on the list of my favorite Japanese restaurants and I am thankful to be invited by Alice and the Zomato team (Karoline, Lea, Faye, Elaine and Trisha). Will definitely revisit the place sometime! 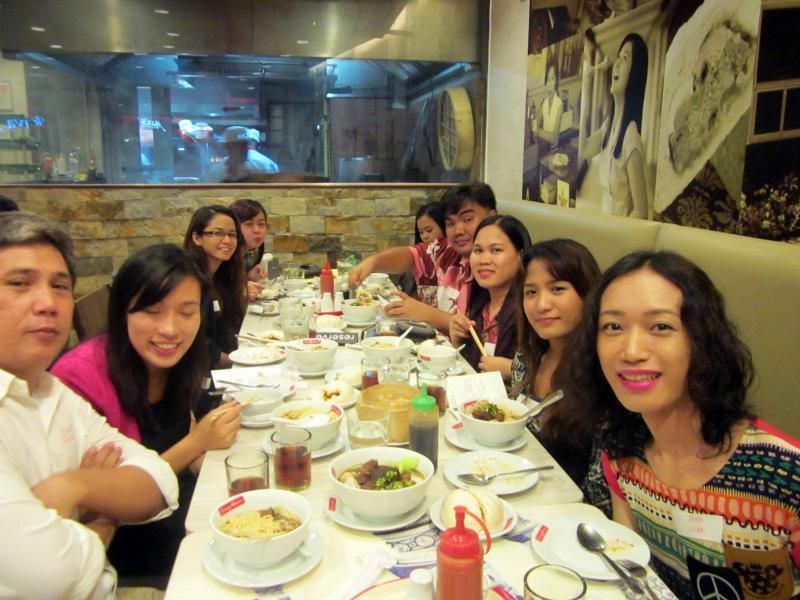 Remember my Binondo Foodtrip / Photowalk last March? I don't think you have to search that far to satisfy your comfort food cravings. 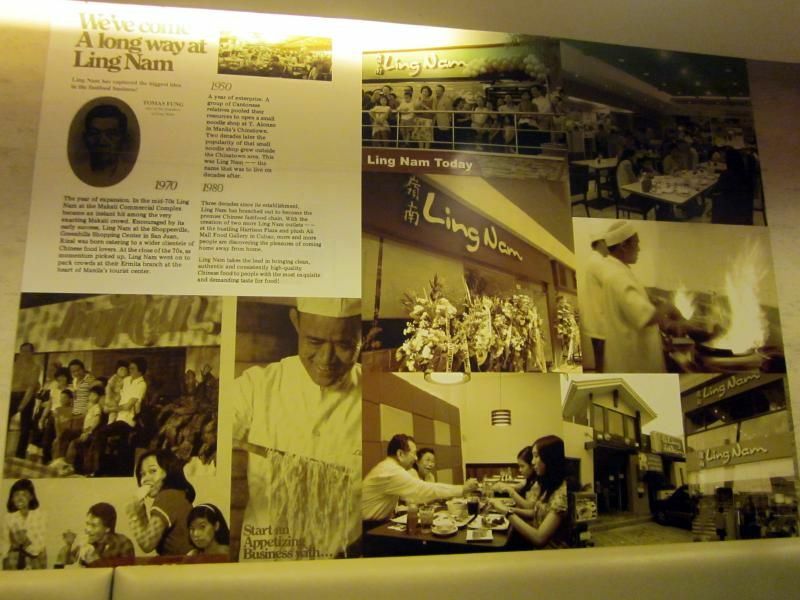 Ling Nam has been around for 60 years and it's famous for its delectable authentic Chinese noodles, congee and dimsum. 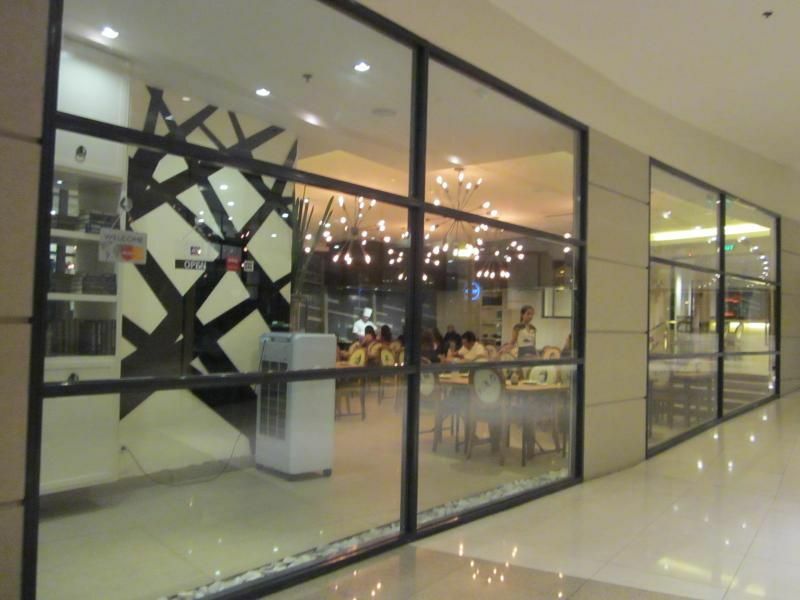 With its comfortable ambiance, it will surely give you that memorable fast-casual dinning experience that will bring you back for more. 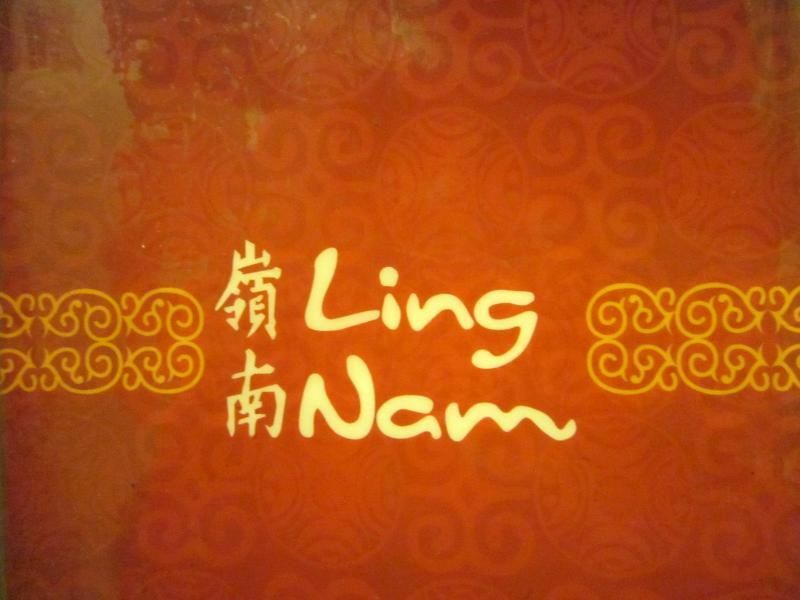 I am not Chinese but if you needed to know, the word "Ling Nam" roughly translates as the Southern mountaineers' province of Canton or Guangzhou, China where it draws inspiration from Cantoneese restaurants there. Here are some of the food in their menu that I got to try specially prepared by their chief cook, Romeo. 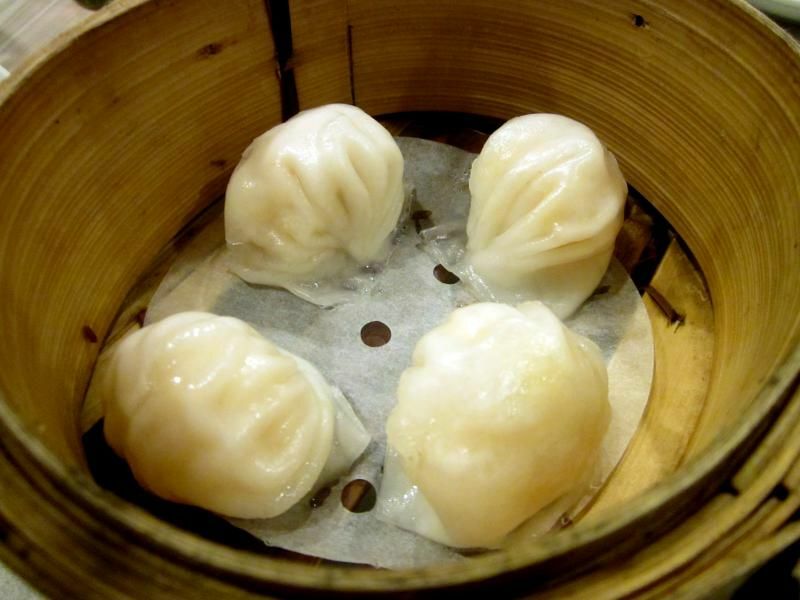 Compared to your ordinary siopao these ones are huge! Probably twice the size of the regular ones. I wish I had a coin for comparison. Here's a random tip: in differentiating siopaos, look for the dots. If there isn't any, it's probably an asado. If there is, it's a bola bola. But if it has two dots, it's a red monggo. This one is a bola bola. I like how the salted egg goes well with the firm meat. I'm more of an asado person. I like how this one is not too salty compared to those regular ones. The meat is so tender and quite easy to chew. 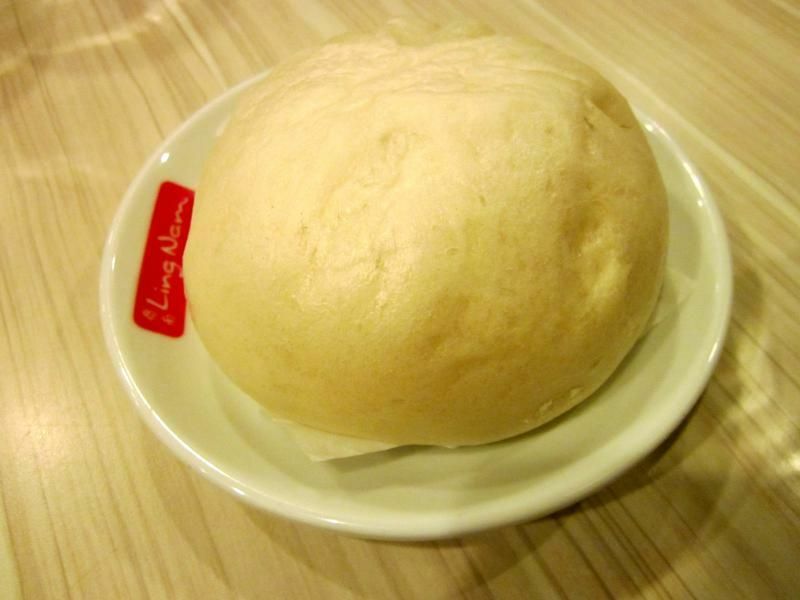 No wonder it bagged the top spot in Manila's Best Siopao 3 years ago. 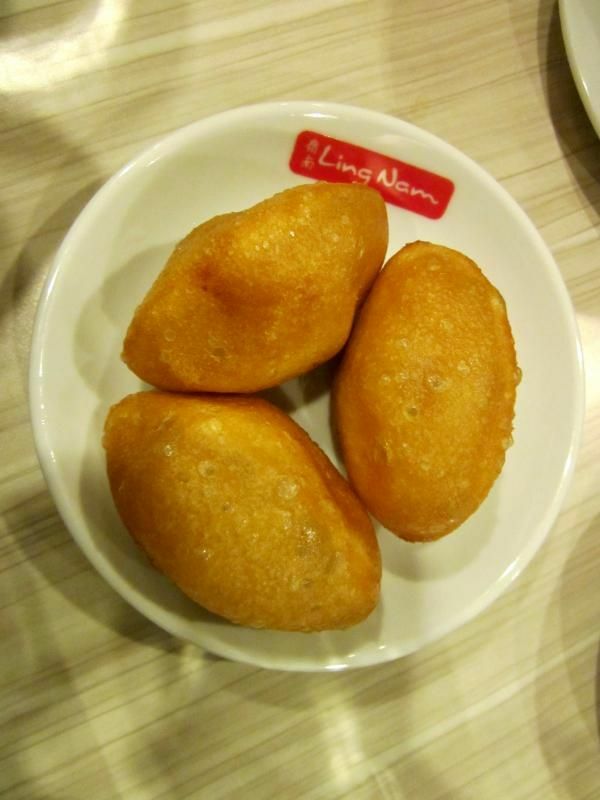 Just like their bola bola siopao, their servings are huge so it's probably good to share for two. 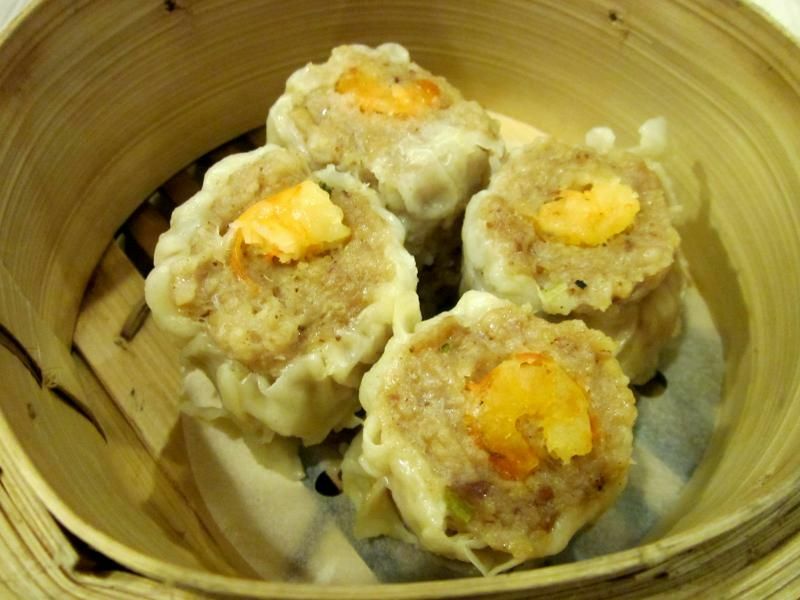 I know you all are thinking the price is quite steep for your pork siomai. 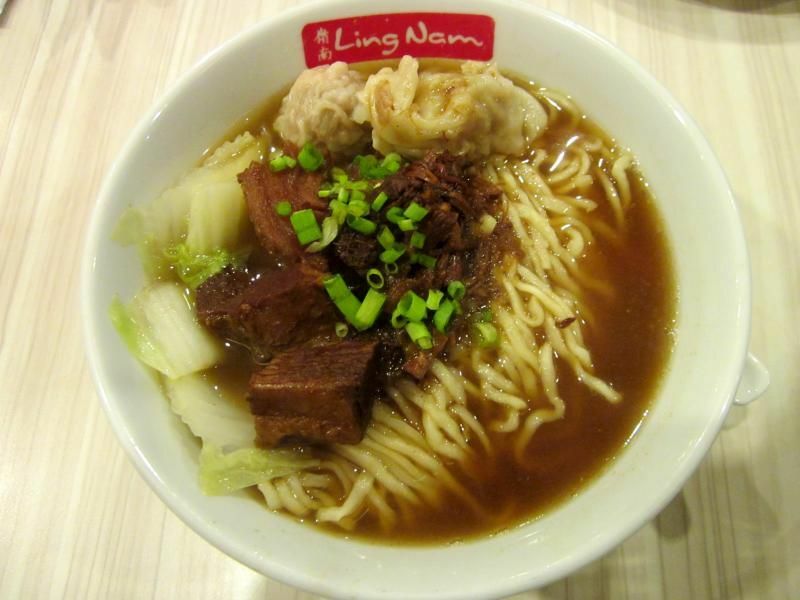 It is more expensive because other than it tastes good, it's really packed with lean meat. No extenders. This one I like with my toyomansi. Hakaw is one of my all time favorites! Theirs in particular are not salty and good on its own. Best served warm you could taste the shrimp and pork along with some bamboo shoot. Here's another trivia: Hakaw is not too common because it is said that it's one of those dishes that are quite expensive to make. This is the first time I got to try one of these and I fell in love immediately. 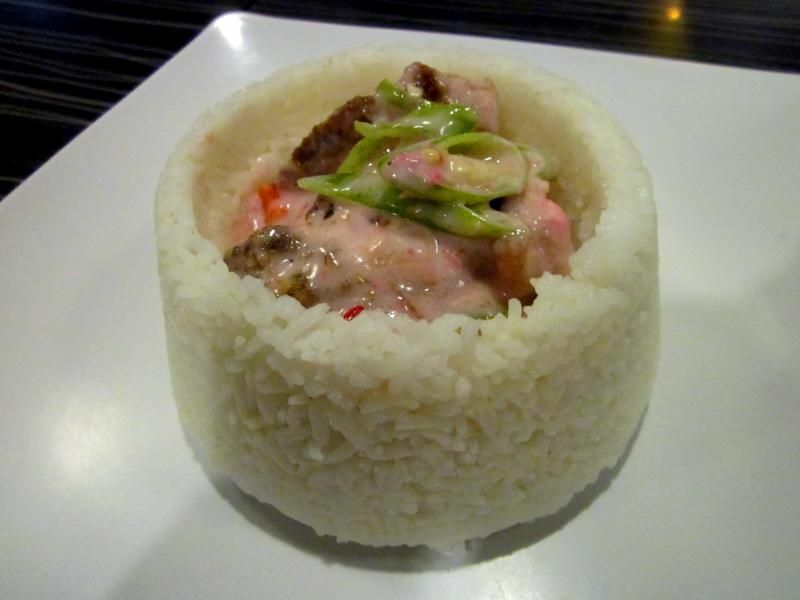 Imagine the texture of that outer layer is similar to a soft sweet buchi skin while the filling inside is salty. It's one of those interesting things that you think won't really go along with each other but it does actually work, surprisingly. 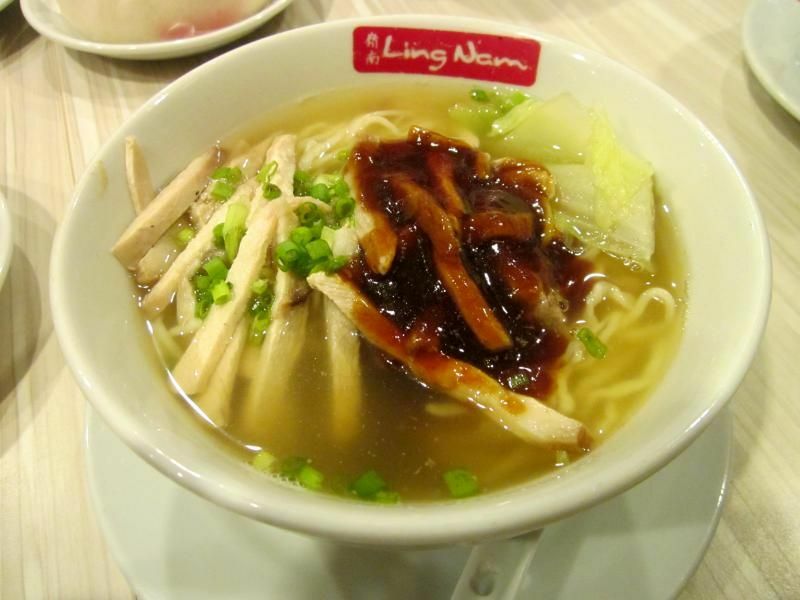 This is one of their signature Chinese noodles that they're really known for. This is one of the best soup bases I had. I can't even describe how soulful it is. The texture of the noodles are firm and never soggy. It never breaks easily and I don't know about the others but the siomai there tastes smoky and beef is cooked to perfection. It's really heavy and fulfilling that you'd get what you paid for. Unfortunately, I haven't tried this one but my blogger friends were having a hard time deciding which of the two Chinese noodles they like more. They said the sauce goes well with the chicken noodle. Maybe I'll try this when I come back. 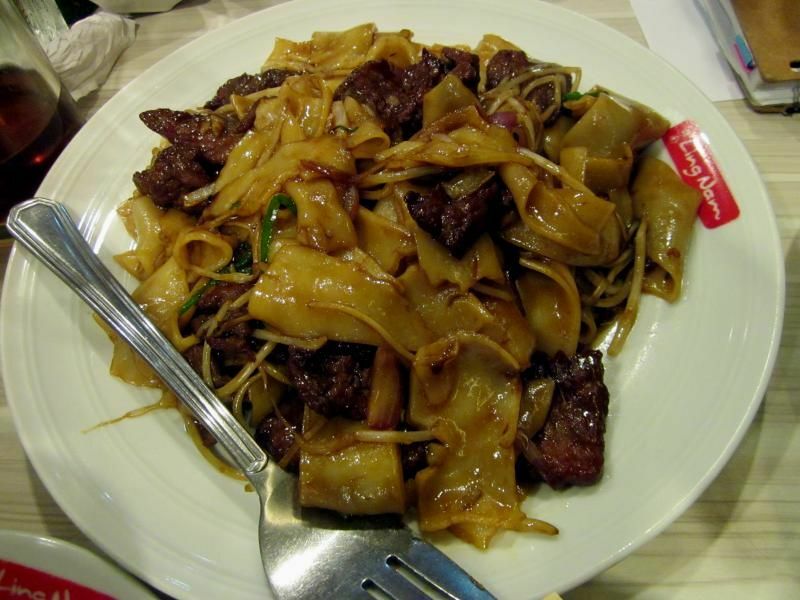 This one is made with rice based noodles and classic stir fried beef and bean sprouts. I believe this is one of the group favorites because Rattus recalls how much she likes having this as a child and Vicky told me prior to ordering that she loves this and could finish a whole plate. Take note: a whole plate is good for 2-3 people. That's a huge appetite for a small girl. Kidding. One of the most creative presentations for a shrimp ball. If you're a shrimp ball fan, this one is setting the bar high. Compared to every other shrimp balls I've tried, this is the juiciest one I've had so far. Again, pure meaty goodness. No extenders because because the owner isn't a fan of extenders and wants only the best dining experience for the customers. 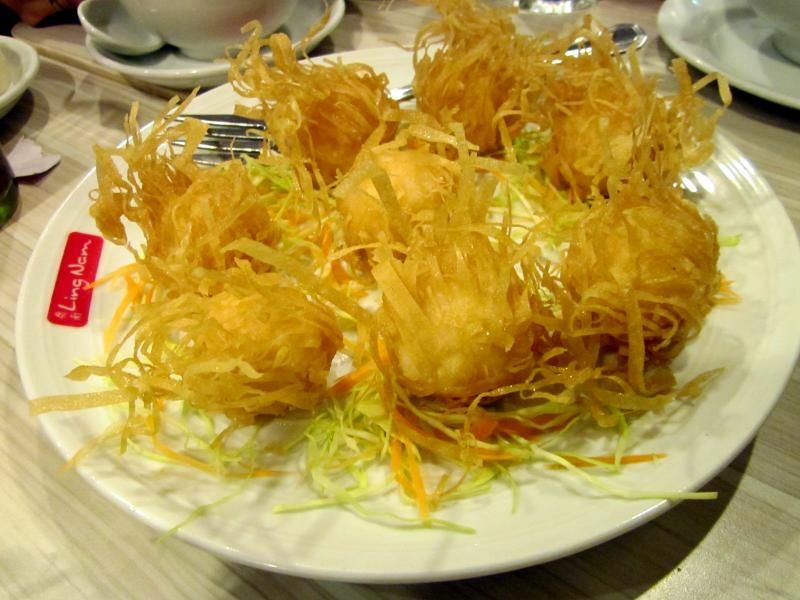 Coated with a crispy deep-fried wanton wrapper it surely compliments the texture of the delicate minced shrimps. 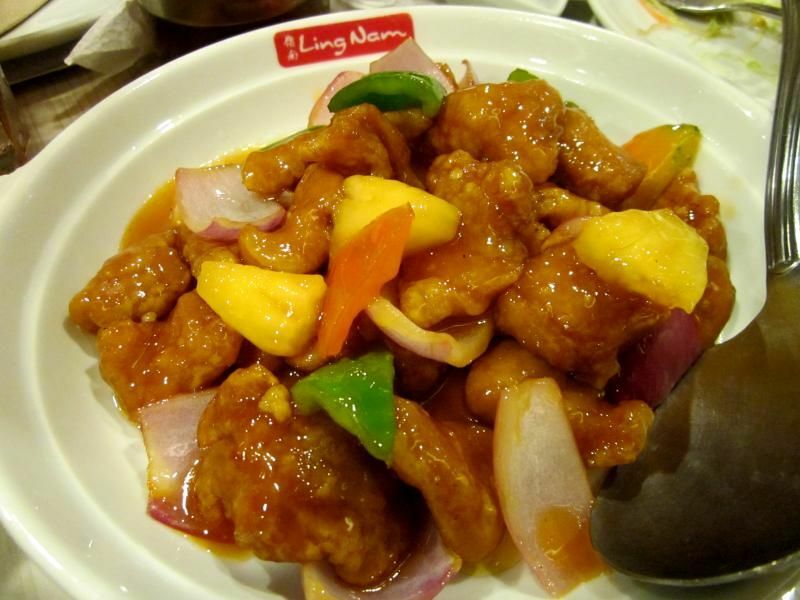 Accompanied by fresh vegetables, this Sweet and Sour Pork is very soft and the sauce is flavorful compared to those that I've tried at Chinese buffets and restaurants in the Metro. 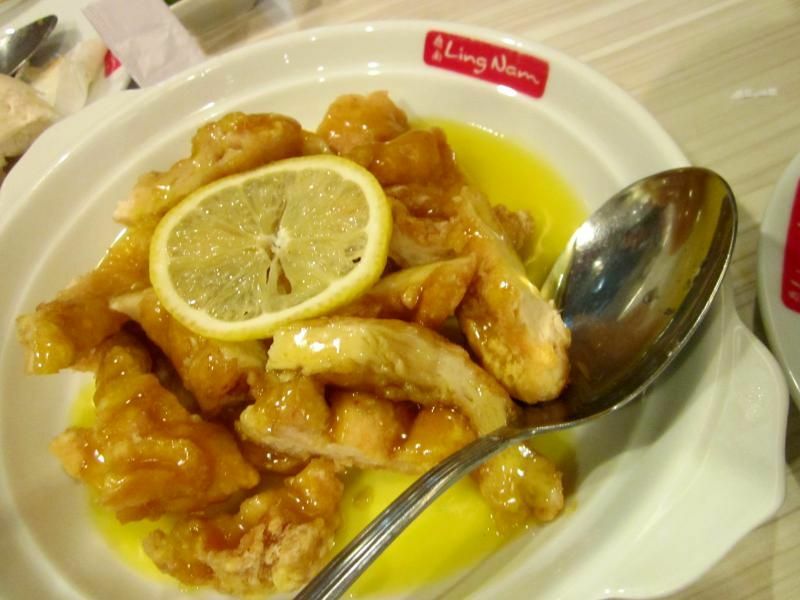 Another one of my delightful favorites, the Lemon Chicken never disappoints. 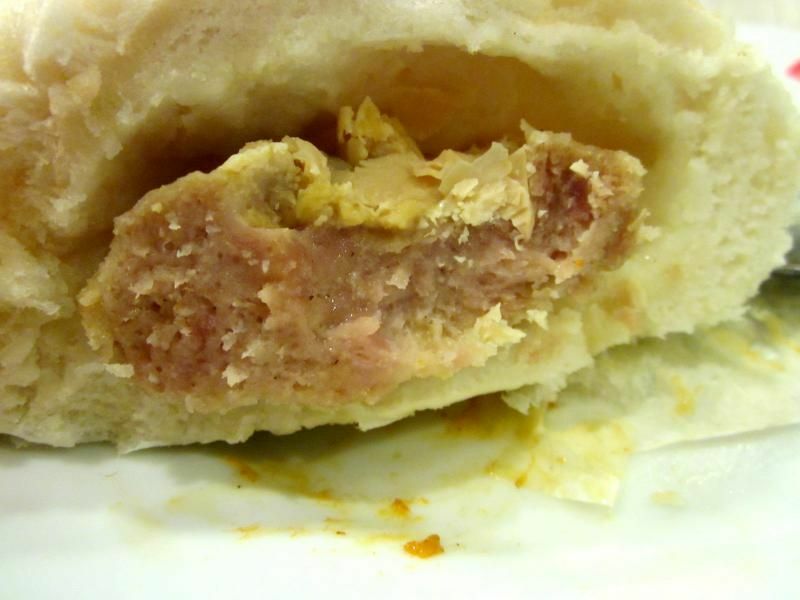 The chicken meat soft and moist. It is very effortless to chew. And the sauce? You be surprised that it's actually sweet and not too sour. The lemon sauce is not too overpowering to the extent it won't cover up the flavor of the chicken meat. Awesome. For the vegetarians I highly recommend this as well. This is one of my favorites because I have never tasted something quite similar to this dish. Imagine this slab of home-made tofu that tastes like tamago. It's sweet and soft plus the Tausi sauce is the bomb. The best part? Shitake and button mushrooms!!! 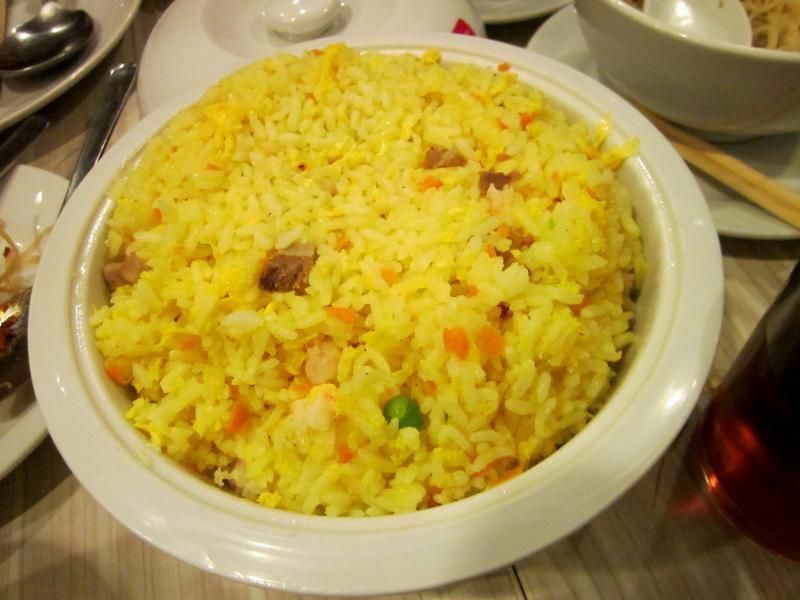 I think we're all familiar with Yang Chow Rice. It's good on it's own especially with those plump small shrimps and I think one serving of this is already good for 2-3 persons. 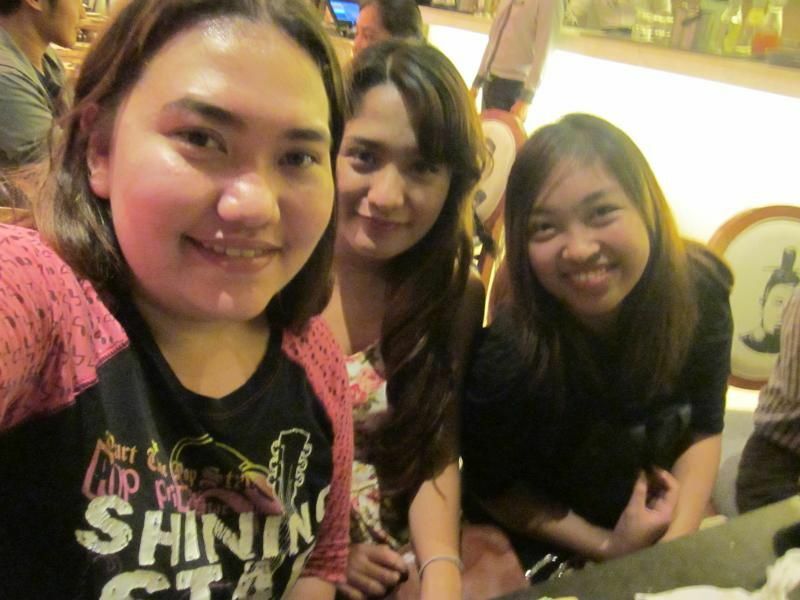 The happy faces and filled bellies! 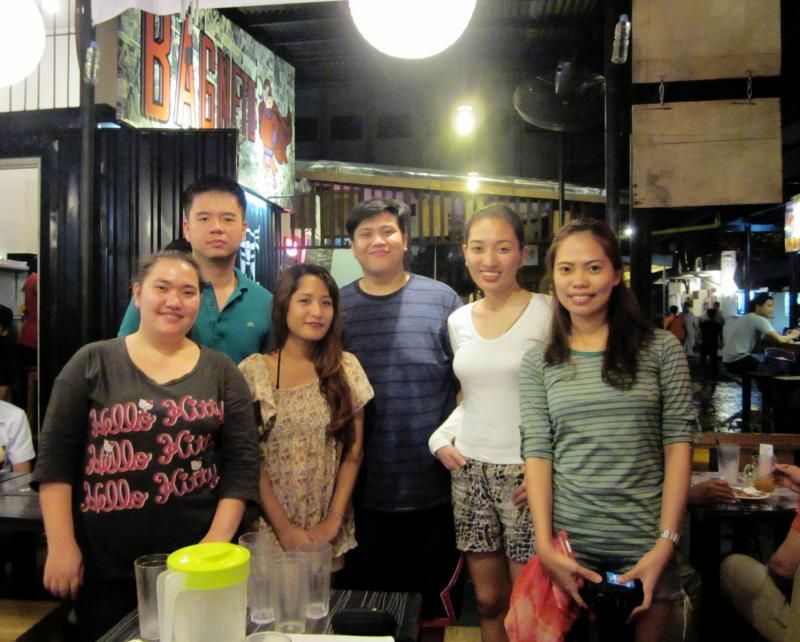 Food & Lifestyle Bloggers with Ling Nam's Manager / Business Developer Sir Edwin, Zomato's Business Developer Vicky and Zomato's Community Manager Elaine. 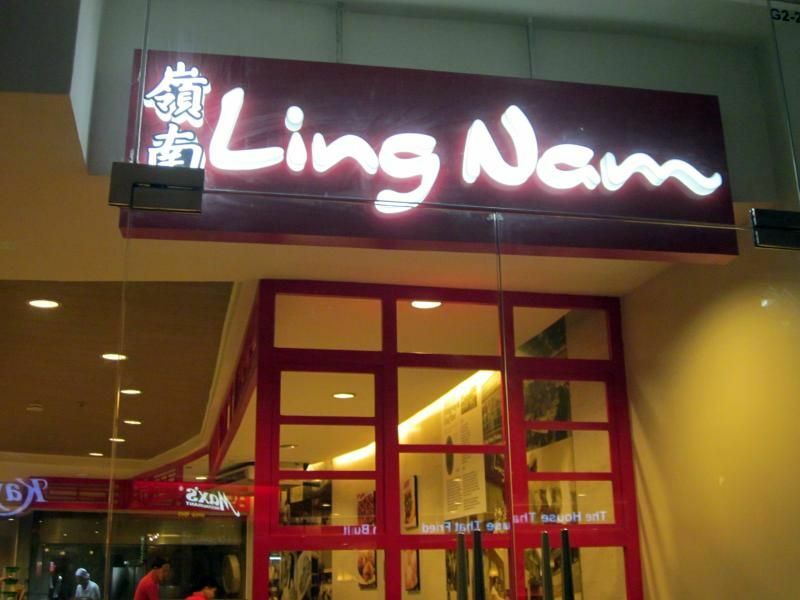 If you want to experience the same tasty authentic Chinese meals that won't put a dent on your wallet, check out the nearest Ling Nam branch near you. They have eight conveniently located branches in Alonzo, Banawe, Cebu, Greenhills, Shopwise Commonwealth, Transcom Centre, Barrington Place and Glorietta 2. 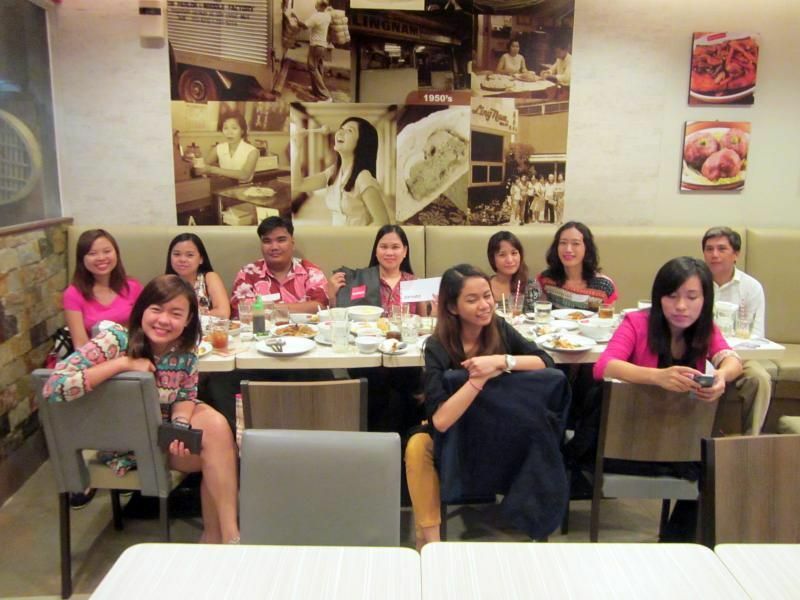 Thank you Zomato Team and Sir Edwin Cunanan for making this foodie meetup possible! Also, a big shoutout to their Captain Waiter Roger and Jayson for being patient with us until closing time and providing us excellent service! 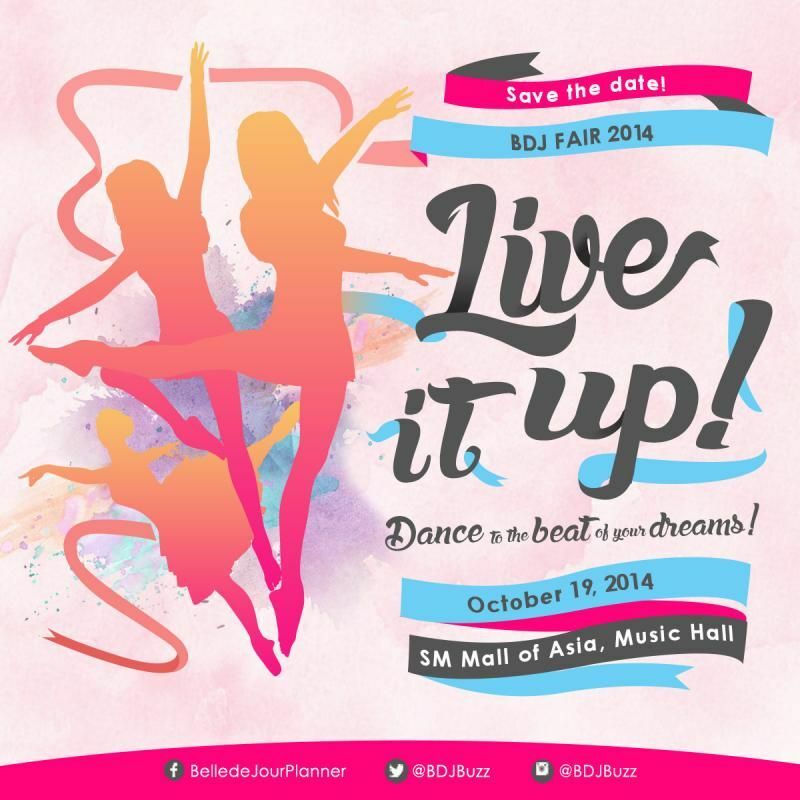 This year, the BDJ Fair is entitled: #Live It Up! Dance to the Beat of Your Dreams! The BDJ Fair is a fun-filled event where they will launch their 9th edition of the BDJ Power Planner and raise funds for the advocacies they support. This year, they will support the students of Sulong Kabataang Romblomanon, Inc. (Romblon scholars), and MoveMNL. It's also where BDJ Girls all come together to learn, experience and have fun through our various talks, booth, activities and workshops. It's where they get to interact with their fellow BDJ Girls and gain new friends and learn from each other! Enjoy a fun-filled event of learning and being empowered and get first dibs to the BDJ 2015 Planner for only 500 pesos at the fair. Save the date for the sixth BDJ Fair! Put on your dancing shoes and dance to the beat of your dreams! Stay tuned for more details regarding the BDJ Fair! 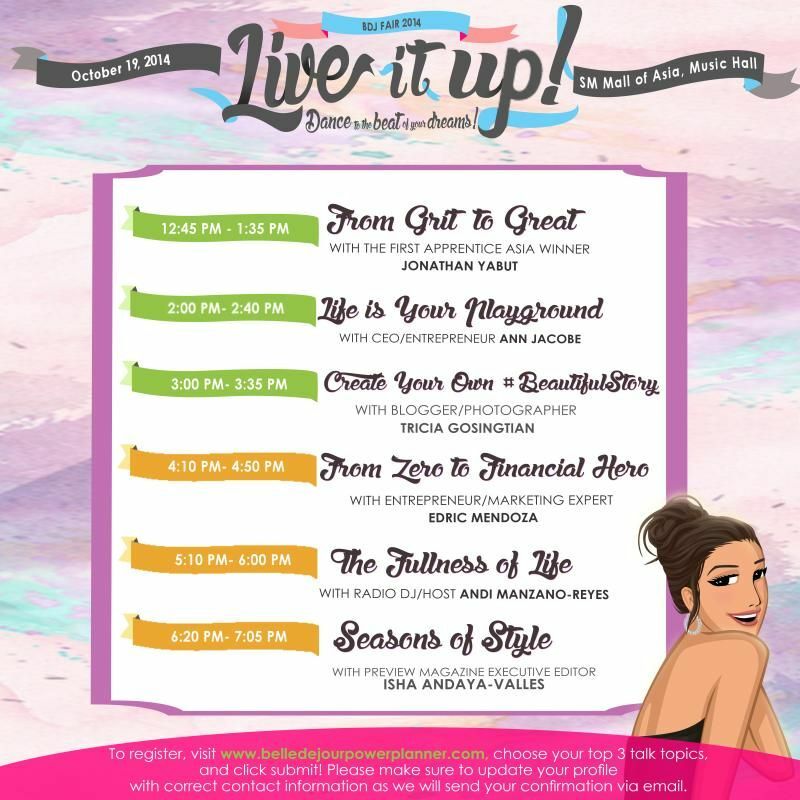 For more information on the Belle de Jour Power Planner, other products and events, log on to belledejourpowerplanner.com or join their Facebook Fan Page, or follow @BDJBuzz on Twitter and Instagram. Sometimes you'll be surprised how the underrated places are home to some of the great dishes I've tried. My first visit to Bagneto! 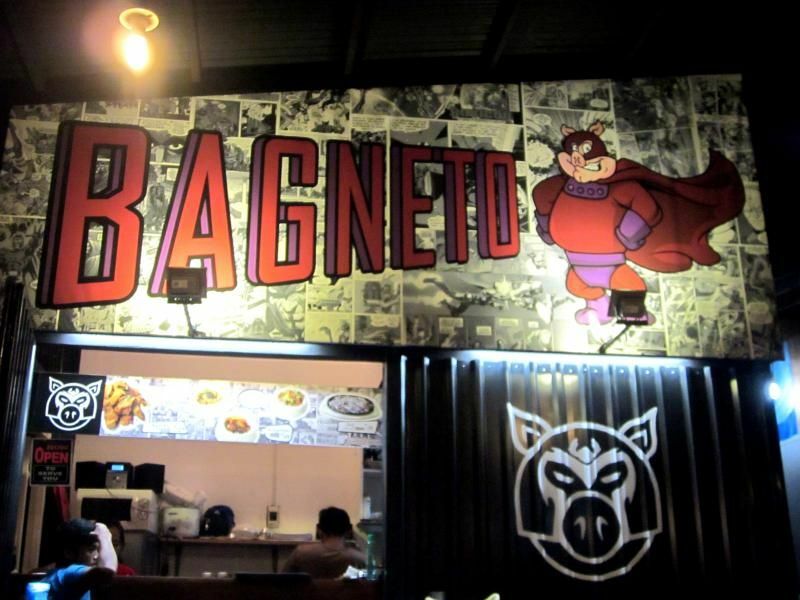 X-Men fans would find this really funny because the pig there is wearing a Magneto costume. Hahaha. 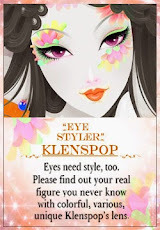 Really cute! Can't wait to see the mascot! 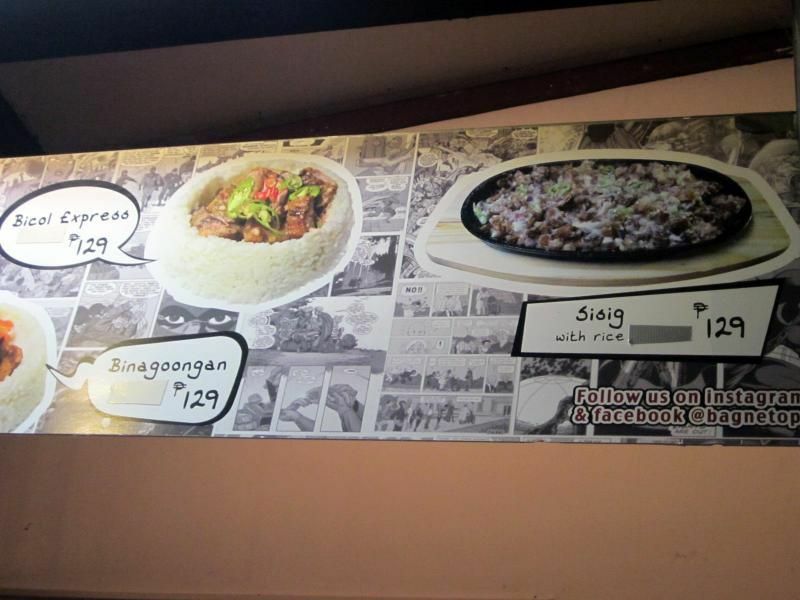 Every meal is affordable and bagnet based. For those who aren't familiar with Bagnet, it's an Ilocano crispy pork belly. 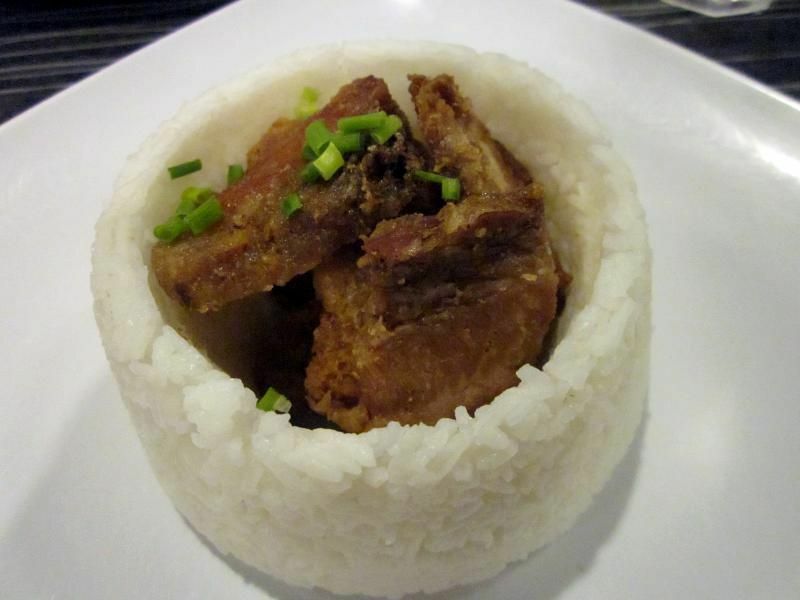 Imagine if Lechon Kawali and Chicharon had a kid. This would be it. The place is relatively new as it just started four months ago, so they only have five meals at the moment. 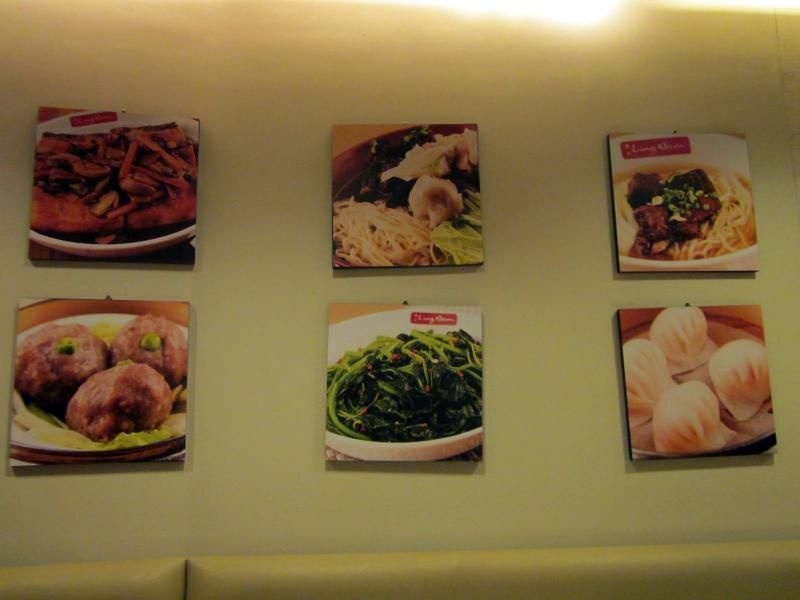 All of which are their own self-formulated experimented recipes with their own bagnet. I've heard from Sir Raz that they'll be offering three new dishes really soon. 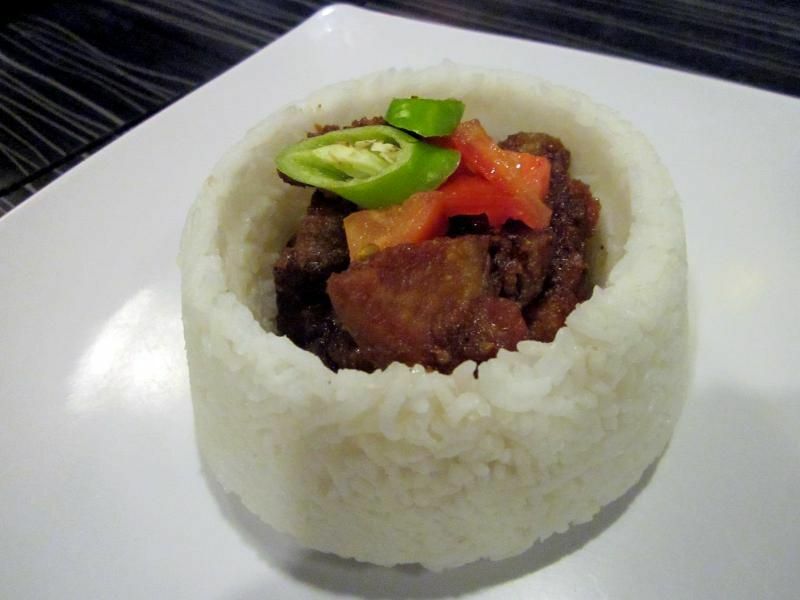 Something to look foward to are the Bagnetsilog, Tokwa't Bagnet and Bagnet with Laing. Bagnet with Laing sounds really great right now. Can't wait! One of my personal favorites, I highly recommend this one. Don't be turned off that it would be as spicy as your regular bicol express, it's not. 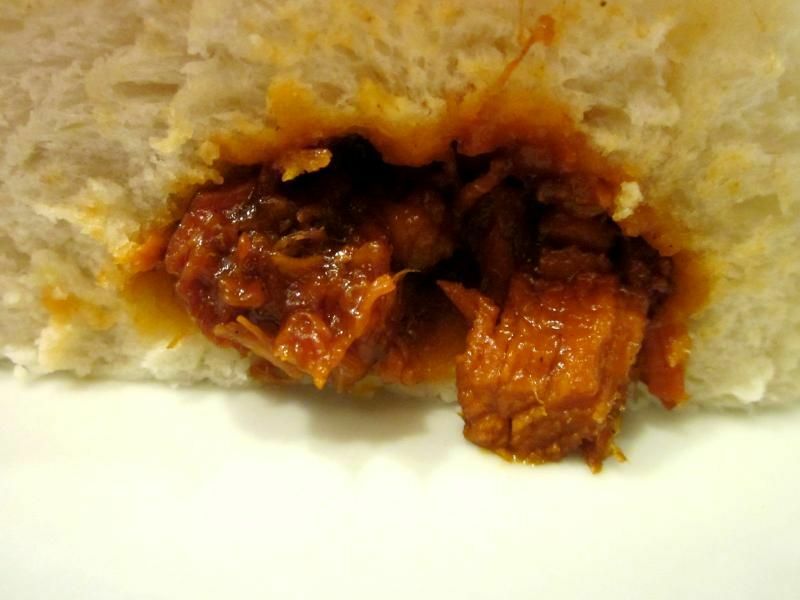 The spicyness is something that's tolerable and some might even opt to put hot sauce if it's not spicy enough for you. I love how interesting are together since this is not the traditional sauce you usually pair with bagnet. Kare-Kare is not a very easy dish to prepare and I'm glad the bagnet works well with it. 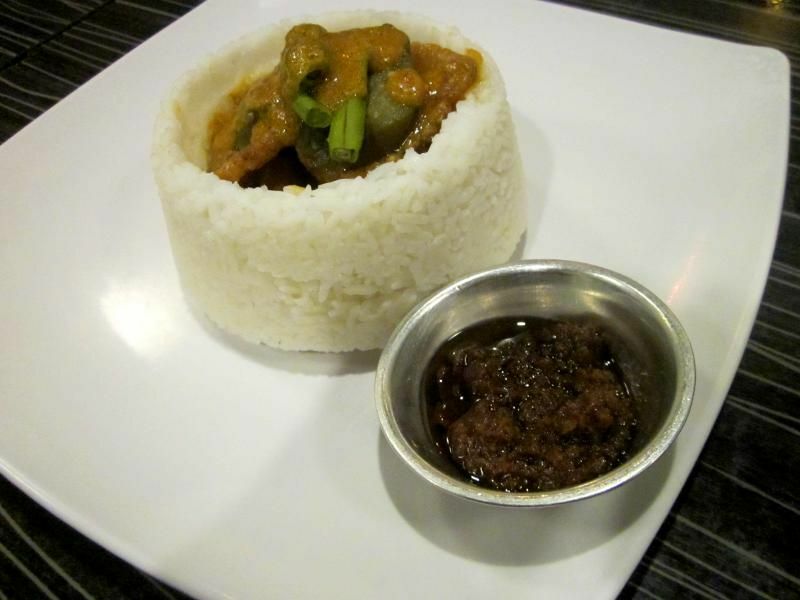 I like how the Kare-Kare and the bagnet never tries to out-do the other. The flavors really do balance well to the point that you could still taste both of them. I was expecting that the meat would be soggy since it's in a sauce but it isn't. It's surprisingly crunchy, but not as crunchy as the Sisig Bagnet. Prior to trying this out I am not a fan of binagoongan because I find it too salty and the tendancy is, I would consume so much rice in proportion to the viand. 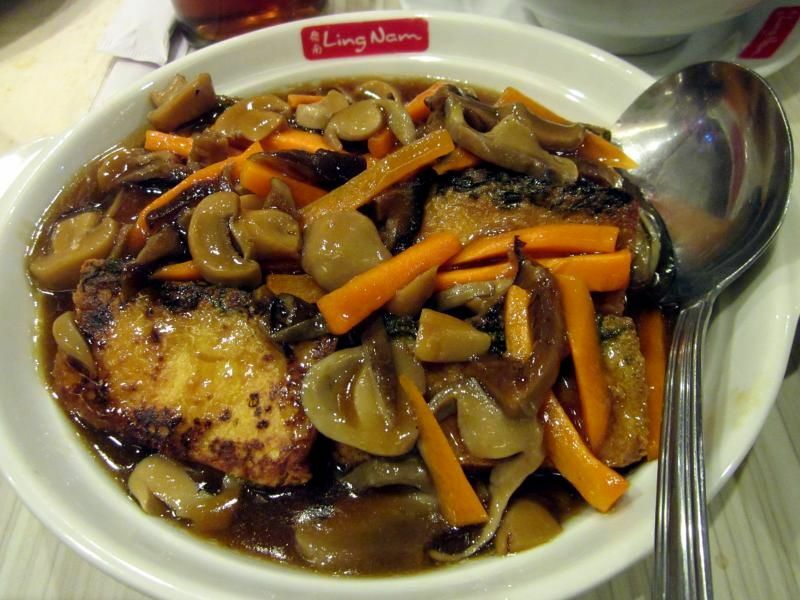 This one I great because it is not too salty like the regular binagoongan dishes that I've got to try in the past. 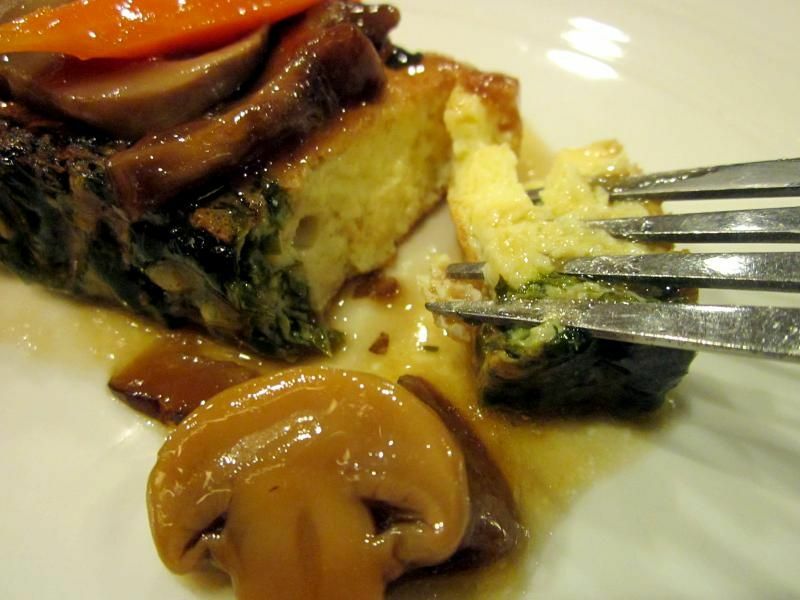 One of their best sellers, this dish is something you shouldn't ignore. 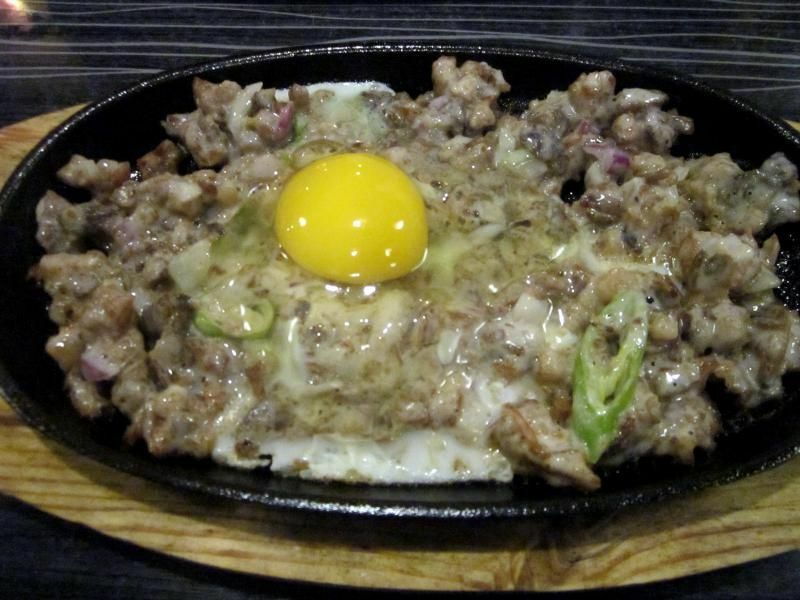 I find it great because it's really crunchy plus it's not too fatty as your regular sisig. 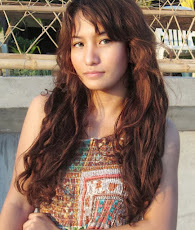 Perfect for pulutan! I wish they'd serve beer here too! If you're not the adventurous type, there's always the classic bagnet. Nothing beats the classic. I kid you not, you will not get tired of eating this alone. I personally prefer mine paired with Sukang Iloko though. 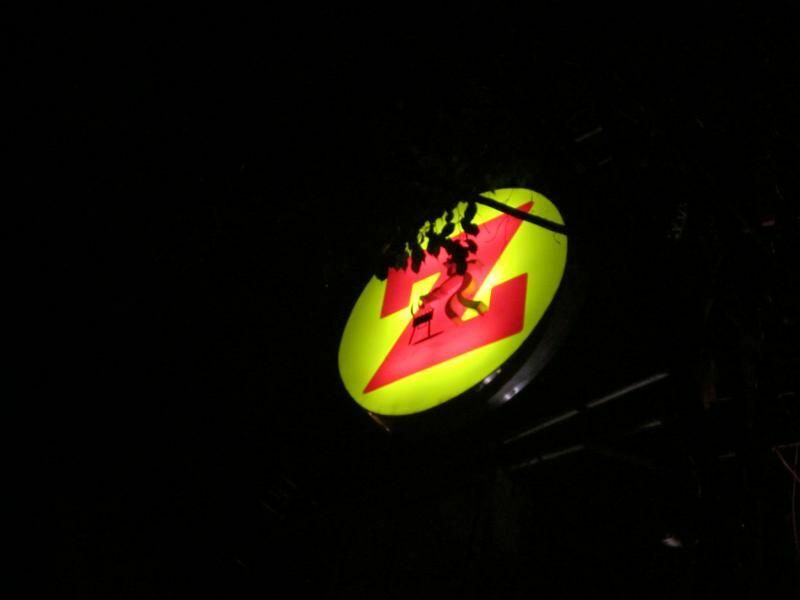 If you're planning to drop by like us, do check them out ONLY at the Z compound at Malingap Street, East Teacher's Village since they don't have any other branches at the moment. They're open from 5 pm to 10 pm everyday except on Tuesdays.